Atop a small hill is a large frame house with an encircling porch (“veranda” they might have called it). 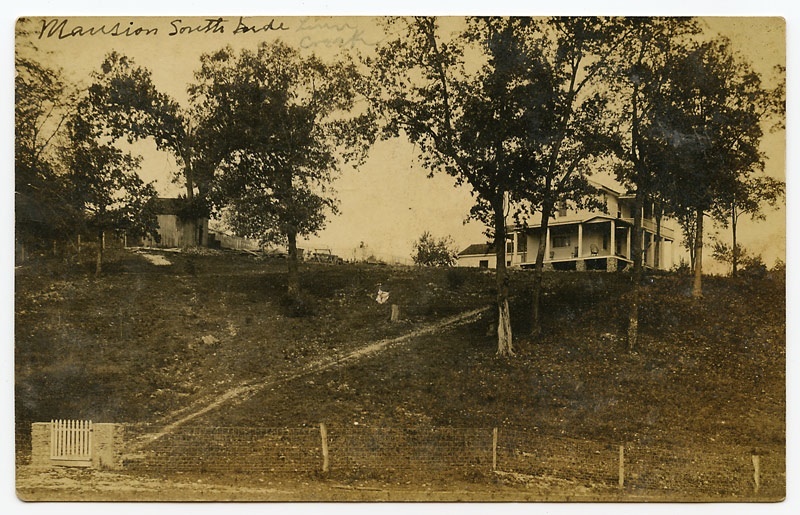 In Kansas City or St. Louis, this would probably not have been considered a mansion, but in the more modest circumstances of Linn Creek, it was noteworthy and probably belonged to a doctor or banker or merchant. Linn Creek was the county seat of Camden County, a fairly stable community that was completely submerged by Lake of the Ozarks. The county seat was relocated to a newly created town called Camdenton. New Linn Creek is located farther up the creek and is today a smaller community.